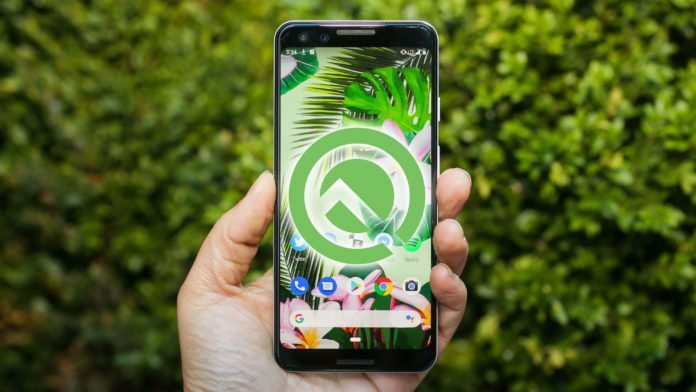 First Beta version of Android Q was aired on March 13, 2019, by Google, keeping the tradition of releasing a new variant of the most popular OS for mobiles. For the time being, the Android Q is only available for Google Pixel devices starting from Pixel 3 all the way to Pixel. The beta version is not recommended for basic users of the smartphone. However, if you are to some extent advanced users it’s good to test and feel how new OS will perform on your device. If you own a Google Pixel device and now what you are going to do, this guide will help you install Android Q on your Pixel smartphone. Warning: If you install a beta version of Android Q, you will not have an option to revert back to a public release version of earlier Android without first wiping all locally saved data on your device. There could be technical issues as well. An easier way to install Android Q beta update into any pixel device is to install through OTA update. All you will need to do is to opt-in to Google’s beta program on Google developer website. First of all, login to your Pixel device through Google account. Then, log in to google account from the browser and click here to open the Android Beta Program. You will see your Pixel device under “Your Eligible Devices”. Now you will have to click on the Opt-in button to start updating your Pixel device to Google’s Android Q. Next, you will have to turn to your phone and check for updates in settings. You will be given choice to update to the Beta version after some time. The Beta OTA update is similar to any other release your phone will reboot and update it software and turn on again. Your phone’s battery should be at least 60% charged before pressing the update button. Afterward, you will need to flash the ROM into your device like any other ROM, and it is easier to perform. Grab your Pixel Device, USB C cable, and a PC. Step1: Install ADB that you downloaded and make sure you have Android SDK installed on your computer. Later, reboot your device into bootloader by pressing “Power Button+Volume Down button” concurrently. Step2: Now, after you are inside the Fastboot mode, connect your device to the PC via the USB type C cable. Next, you’ll need to open ADB through command prompt. To do that, browse to the folder you have ADB extracted. In my case, it is C:/Software/ADB. It need not mandatorily be the same, you can place the ADB files on any directory. Now, copy the path for the ADB folder. Step3: Now, this enables the command prompt to run the ADB commands. Once you are done with the above step, test if ADB can detect your phone in bootloader mode by running the following command. Step4: Now, paste the Beta 1 version of Android Q zip file in your ADB folder. The zip file contains 6 files and then you will have to extract the files in the main folder. Once you hit the enter button after writing above command, Pixel Device will reboot many times. Just make sure your device is connected all time with your PC, Otherwise, your phone might have to face software brick issue. That’s it the process will finish after a while and your Google Pixel device will reboot into an original state with Android Q beta installed. If you face any trouble during the procedure do comment below.